What Does BitDefender Have On Its Competition? 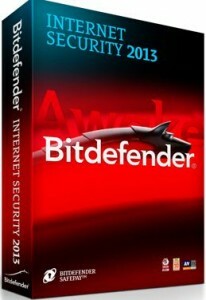 The new version of BitDefender, BitDefender 2013, has significant changes from the previous model. Being the first to release their new version, they had a lot to prove. Although overall, the appearance of the design changed very little, the changes are evident in many other areas. Even at the get-go in the installation of this newer, improved version, it scans for any viruses currently found on your computer. In lab tests, it was able to find all malware that already infested the system. That is quite different from other software. Although good at blocking, its competitors do a lack-luster job at being able to remove the already infected. Mimicking a rebooting system, the Rescue mode is able to clear your computer just as you would if you rebooted, without the risk of losing your data. Although excellent at what it does, the ease of use is not up to par. Along with the ability to remove antivirus software destruction, it also scored highly on the blocking and phishing protection. 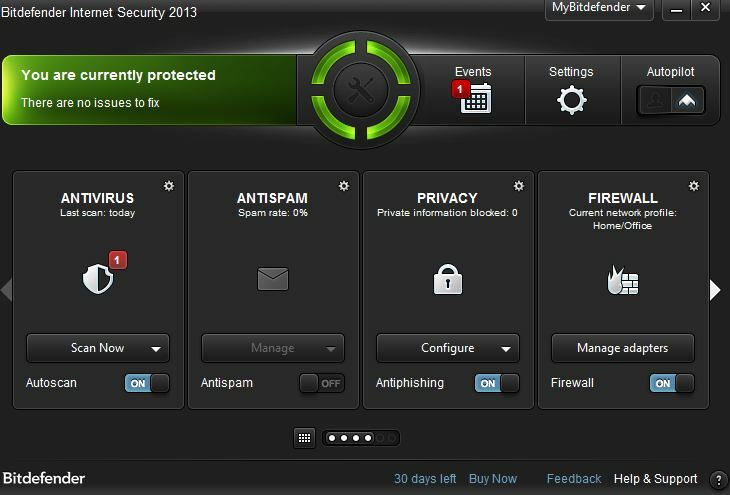 Unparalleled security for your financials, Twitter and Facebook, it really has all the blocking security you need. So what does it miss? Although the ability to clean your system is excellent, the time that it takes is long and arduous. Also, sometimes the clean up does leave some collateral damage in its wake. 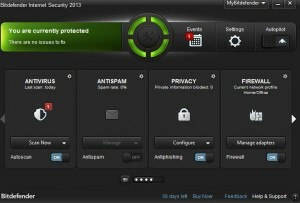 Overall, BitDefender 2013 is a substantial update from the previous year. Rating highly on all levels of testing, its only back draw seems to be the time that it takes to clean up your system. In comparison to its contemporaries, it appears to be a significant leader in AntiViral software. Well worth the cost, as well as to update the previous version.